Car buying is an expensive proposition. Nobody wants go wrong when it comes to closing such a deal. And this is exactly why women buyers take the time to shop around, research online, and are twice (50 percent) as likely to read car dealer reviews, before they make their final car buying decision. To close a successful sales deal, it is imperative for a dealership to have a winning sales team that can help every single potential visitor smoothly transition into an actual buyer. This calls for a good understanding of each buyer as they have their own individual set of needs, wants and circumstances. Women buyers are one of the largest car buying segments in the U.S. This segment of car buyers is growing rapidly with time. Last year, women purchased approximately 525,000 cars per week, totaling an estimated 27 million cars purchased at new- and used-car lots, according to NADA Data and CNW Research. There are over 17,500 new-car dealerships — and are plenty of choices for women to shop at. 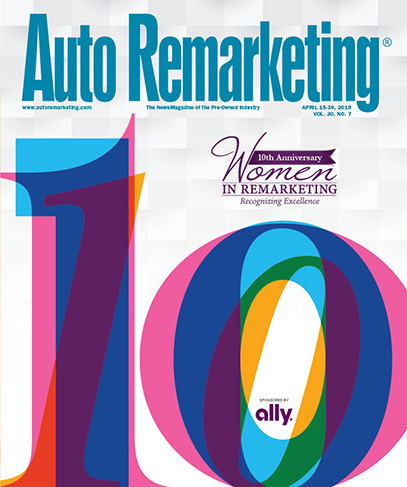 For dealerships to gain a competitive edge and rise as the first choice of preference among women, it is important to meet — and exceed — women’s expectations during the purchase process. A different approach is required to surprise and delight women car buyers. Its foundation is based on “building trust,” which is earned through being respectful, being friendly, refraining from aggressive selling and quoting the right price initially. According to a study by the Insights Advantage, it costs organizations more than five times as much to get a new customer than it does to keep retain one. This truly helps understand the value of building a strong relationship with customers and turning them into repeat buyers. Trust-based relationships are achieved through mutual understanding and connecting with the customer at an emotional level by understanding their car-buying sentiments. Dealership sales staff who get each women buyer’s needs, concerns, fears and expectations and listen to help them find the best perfect car or best match, not only close successful car deals but also enjoy customer loyalty. The process of trust building begins as soon as women visitors walk into a dealership. How the sales professional treats shoppers matters greatly, as it has a huge impact on their buying decisions. Dealerships that consistently train their sales team to greet women buyers respectfully and pleasantly have higher chances of closing sales. It helps put women at ease and feel welcomed. Women find friendly sales people easy to talk to. Naturally they are more comfortable around sales advisors that are likeable as compared to those who are not. It is also best not to use terms of affection like “little lady” or “hon” or “babe.” It would be wise to keep the transaction on a professional basis, without touching the client or hugs. Really, this happens quite a bit, and women are confounded by it. It is hard to earn trust of a buyer if they are feeling pressured. It’s important for salespeople to come across as resources and trusted advisors who buyers can turn to for support instead of coming out strong, selling aggressively and ‘strong-arming’ buyers with their preferences. By understanding car needs and the budget of each buyer and helping them find the perfect car that suits their needs, dealerships can earn the trust of women and win long-term clients. Women appreciate dealers who don’t push them into buying cars that exceed their budget. They give preference to dealerships that are upfront about the pricing and saving estimates, offer a value deal and provide a flexible payment plan. When they feel that they have bought the best car at the right price, they inherently put their trust in the dealership. But it all starts and stops with the sales advisor.